How will art develop in the 21st century? This question is of interest, because of two key developments: First, humans and modern technologies will continue to merge into cyborg-like joint human-computer systems. For the artists, this opens up new ways to express creative thoughts and produce artifacts. Second, the massive and omnipresent social networking will not only continue to change the way we do business and live, but it will also affect how artworks are produced and received. More specifically, we predict that a new generation of artists will exploit advanced tools such as neuroprosthetic devices to address fundamental questions about aesthetics, reality, perception, the nature of images, etc. They need to collaborate with scientists and engineers beyond the fashionable interdisciplinary one-night-stands. 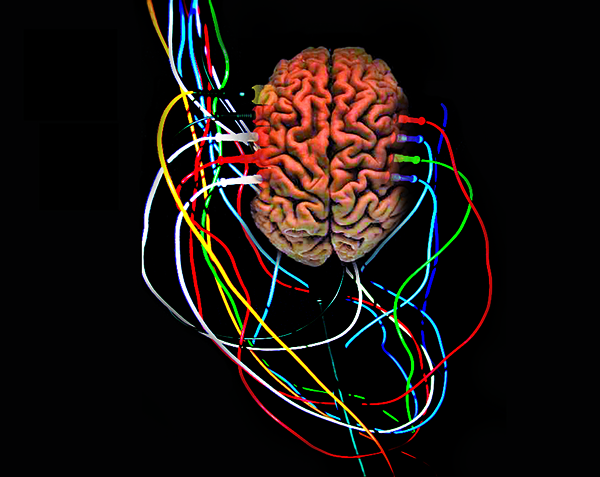 Here, Pingo ergo sums builds upon an existing collaboration between the artist Adi Hoesle and scientists working in brain-computer-interfacing, where Brain Painting was developed. 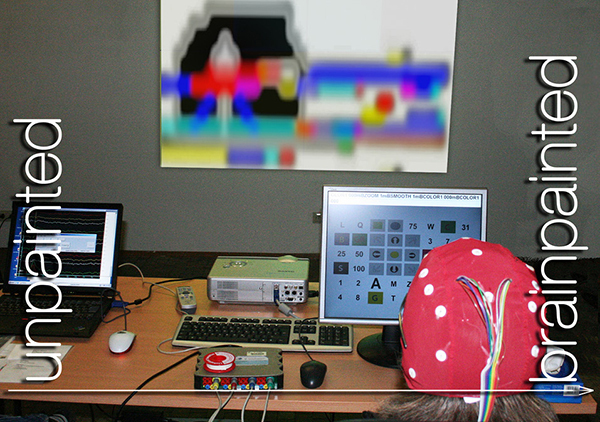 The Pingo ergo sum project shows, for the first time, the technique of Brain Painting to a wider audience and presents it in two museums, Rostock and Linz, for an extended period of time. In addition, an Art Research Lab (ARL) is an essential part of Pingo ergo sum, where the Brain Painting technology is further improved, and new tools for 21st century artists are being developed.